Feb 25, 2017 @ 09:00 AM — by Sharon B. Mateja, D.D.S. Many people experience pain caused by tooth sensitivity when eating hot or cold foods. Seeking treatment for tooth sensitivity is important for your oral health because tooth sensitivity can be an indication of a dental problem. If tooth sensitivity to hot and cold is keeping you from enjoying your favorite foods, restorative dentistry treatments may help. Dr. Sharon B. Mateja offers a variety of restorative dentistry treatments to relieve dental pain and protect oral health. To learn more about your treatment options for tooth sensitivity to hot and cold, contact Dr. Mateja's Rancho Cucamonga, CA practice. In the meantime, read here to learn more about the causes of tooth sensitivity and how you can protect your smile. Tooth decay: Tooth decay can expose the inner structures of the teeth, including the nerves. 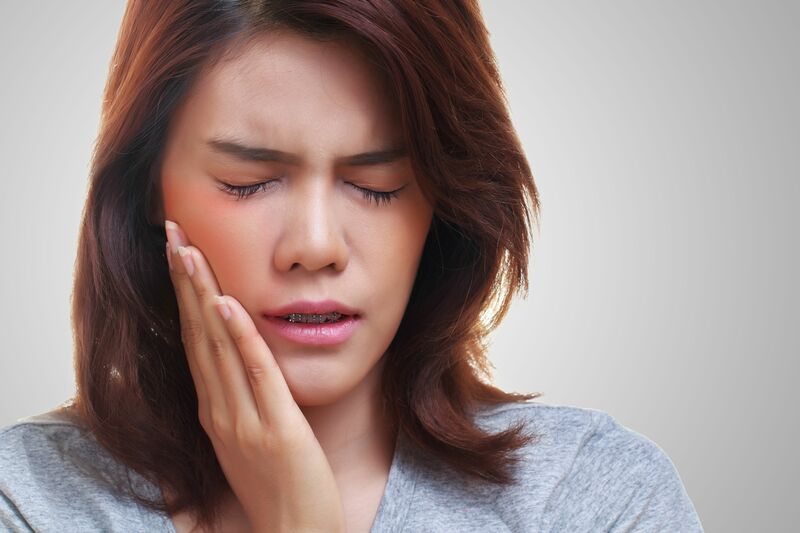 When tooth sensitivity is isolated to one location, it may be due to tooth decay. Gum recession: Gum recession leaves areas of the teeth that are usually protected by the gums exposed. These delicate areas of the teeth are vulnerable to decay and sensitivity. Damaged enamel: Damage to the outer layer of the teeth, the enamel, can allow temperature changes to be felt through the inner dentin layer and reach the nerves of the teeth. The enamel may be cracked from an injury or eroded from acid or general wear. Teeth whitening treatments: Teeth whitening treatments, particularly when overused, can cause tooth sensitivity. If you suffer from tooth sensitivity, it's important to schedule a dental exam to maintain the health of your smile. To find out what's causing your tooth sensitivity and which treatments may be right for you, you're encouraged to schedule a consultation with Dr. Mateja today.